"Oedipus Rex" (Ancient Greek: Οἰδίπους Τύραννος, Oidipous Tyrannos), also known as "Oedipus the King" or "Oedipus the Tyrant," is an Athenian tragedy by Sophocles that was first performed about 429 BC (noted classicist Gilbert Murray, translator of this version of the play, rendered the title as "Oedipus, King of Thebes"). It was the second in order of Sophocles's composition of his three plays dealing with Oedipus. Thematically, however, it was the first in the trilogy's historical chronology, followed by Oedipus at Colonus and then Antigone. "Oedipus the King" tells the story of Oedipus, a man who becomes the king of Thebes, whilst in the process unwittingly fulfilling a prophecy that he would kill his father Laius and marry his mother Jocasta. The play is an example of classic tragedy, notably containing an emphasis upon how Oedipus's own faults contribute to his downfall (as opposed to making fate the sole cause). 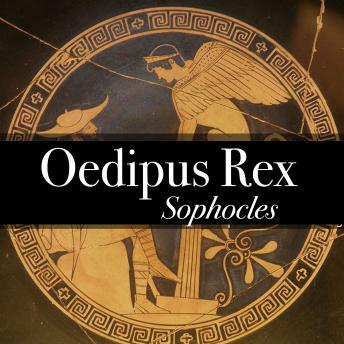 Over the centuries, "Oedipus Rex" has come to be regarded by many as the Greek tragedy par excellence.